LAGOS lawyer Femi Falana (SAN) has advised the Code of Conduct Tribunal (CCT) Chairman, Justice Dankadi Umar, to respond to the query issued and served on him by the Federal Judicial Service Commission (FJSC). “If he fails to reply the query, the Federal Judicial Service Commission may wish to recommend his removal from office to the National Judicial Council pursuant to paragraph 13 (a) of Part 1 of the Third Schedule to the Constitution 1999, which will in turn make appropriate recommendations to the President,” Falana said. The senior lawyer, in a statement issued in Lagos yesterday, noted that while dismissing the allegation of judicial misconduct arising from the circumstances surrounding the suspension of the Chief Justice of Nigeria (CJN), Justice Walter Onnoghen, the CCT Chairman queried the power of the Federal Judicial Service Commission to query him. “According to him, the Code of Conduct Tribunal is under the Presidency and as such the chairman and the two other members of the tribunal only report to the President of the Republic. To justify his queer position, Justice Umar said a former Chief Justice had warned the members of the tribunal to stop calling themselves judges,” Falana said. He contended that the “CCT is not under the Presidency”. 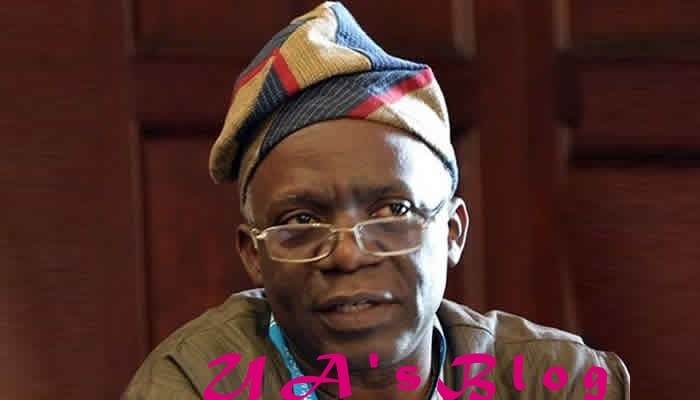 Falana stated the Federal Judicial Commission was perfectly in order when it queried the CCT Chairman with respect to the allegation of judicial misconduct levelled against him. He stated that unlike ministers and staff in the Presidency, who can be removed by the President, the CCT Chairman and the tribunal members cannot be removed from office by the President, except upon an address supported by two-thirds majority of each of the House of the National Assembly on grounds of misconduct or for contravention of the code of conduct for public officers.